Anyone who's looked at my blog knows that my love for [READ:STRANGE] music is amaranthine. I am stealing this idea for a blog post from SC_AUTHOR's blog so I can post something! Emotions are your greatest ally in the world of writing. Whether you feel despair, happiness, anger... Even if you're shaking with so much rage that you don't want to write at all, if you sit down and get to it, your writing will echo with the intensity of your ire. One of the best motivators for your emotions is music. They say that your heart will often begin to beat with the beat of the song you're listening to. Whether that's true or not, it's the feeling the music shoves into you that makes it worth it. We all have our interests and tastes, and whatever they are, it's a writer's job to take advantage of them to weave together a heartfelt story. Flame Writer's Musical Chart - Based on Emotion! With that I shall leave you. Any music of your own suggestion? Any songs you come to regularly? What genres do you enjoy? Does your book have a soundtrack of its own? CREDIT FOR THE IDEA OF THIS POST TO SC WRITE. Ohh, I love seeing your take on my chart :) I hope you liked it! AND OH GOSH, LILY'S THEME. YOU GOT ME RIGHT THERE. HOW DID I NOT THINK ABOUT THAT?!?! Because you also forgot about Hymn to the Sea, which I WOULD have put (: But I figured I had a big enough list of sad songs! Thanks for stopping by and championing me in the Star Wars thing! 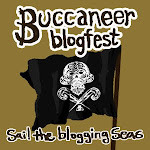 Hey, found your blog through the Buccaneer Blogfest and felt compelled to comment on this post. I've also blogged about the music-writing connection a few times, and was pleased to see some songs I also enjoy on there. I'll go ahead and add Time's Scar (Chrono Cross OST), the ending theme to Front Mission 3, One Winged Angel (orchestral version), Rolling Girl and Dance Hall at the End of the World (Miku), Cosmos (Megpoid), and pretty much the whole soundtracks to Persona 3 and 4.